by goblins. To her surprise, the wish comes true, and Sarah must journey into a strange world to save her baby bro from certain death. 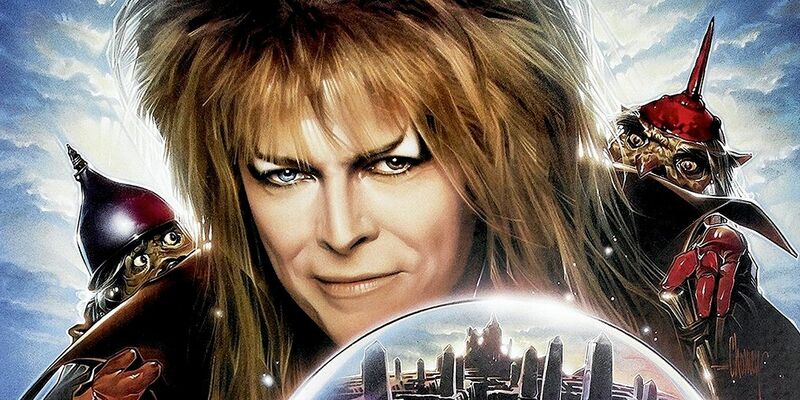 Bowie plays Jareth, the evil Goblin King who pits Sarah against various challenges on her quest for redemption. This was a role that David Bowie was born to play, and the singer brings a certain sophisticated evil to the plate. He’s obviously having a blast playing this kind of perverted bad guy, and it certainly shows. Famous Muppets creator Jim Henson directed this cult classic from the '80s, creating a dazzling array of practical effects and puppetry. Although the story is questionable at best, and has more plot holes than a slice of Swiss cheese, Labyrinth still has a bunch of heart and more than enough creativity to spare. Any fan of the late, great David Bowie should check out this cult movie that blends comedy, fantasy, and a little crazy.